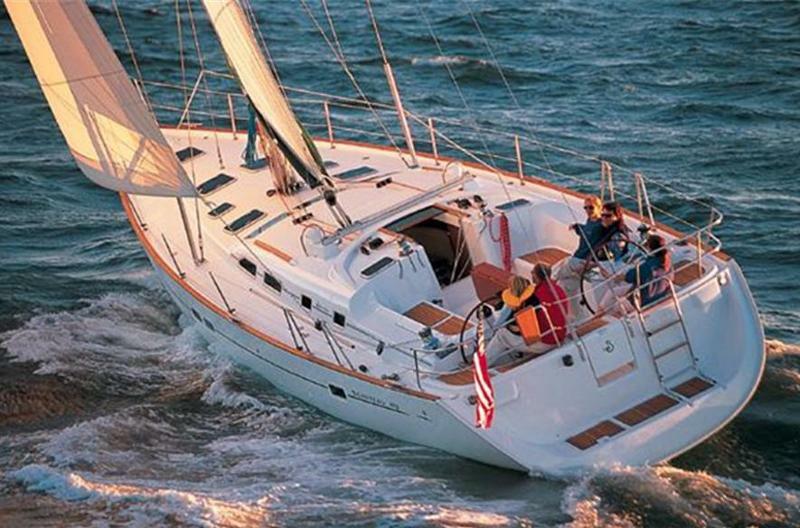 Click on the yacht's name to open their online brochure in another window. 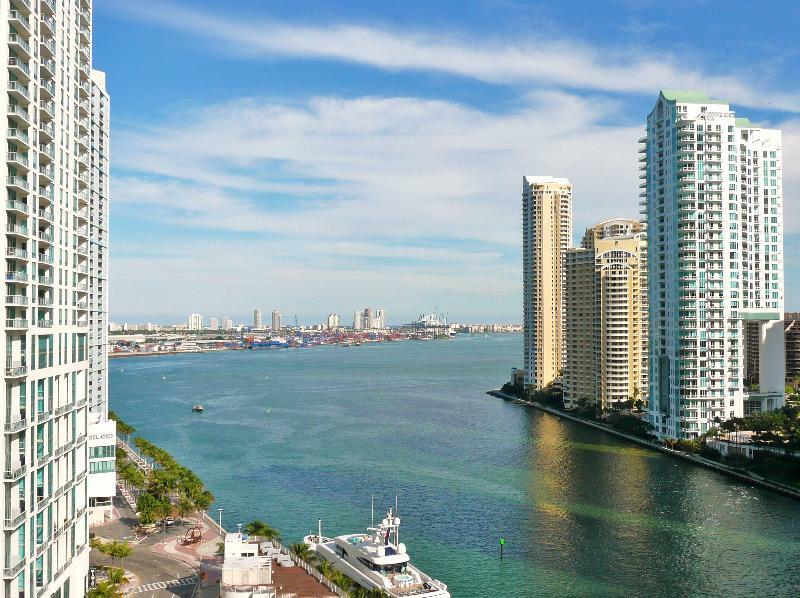 Whether you are a visitor to Miami, a local celebrating a special occasion, or simply want to embark on something new and exciting, book a private yacht charter on Biscayne Bay for an unforgettable adventure. Enjoy a fabulous half-day or full-day harbor cruise with a fully customized itinerary tailored to your interests, or book for a long weekend or a full week! Cruise past the spectacular waterfront estates of the rich and famous, the Port of Miami, Brickell Key, Fisher Island and the Bayside complex. Biscayne Bay is a state aquatic preserve, approximately 35 miles long and up to 8 miles wide, which includes Biscayne National Park. 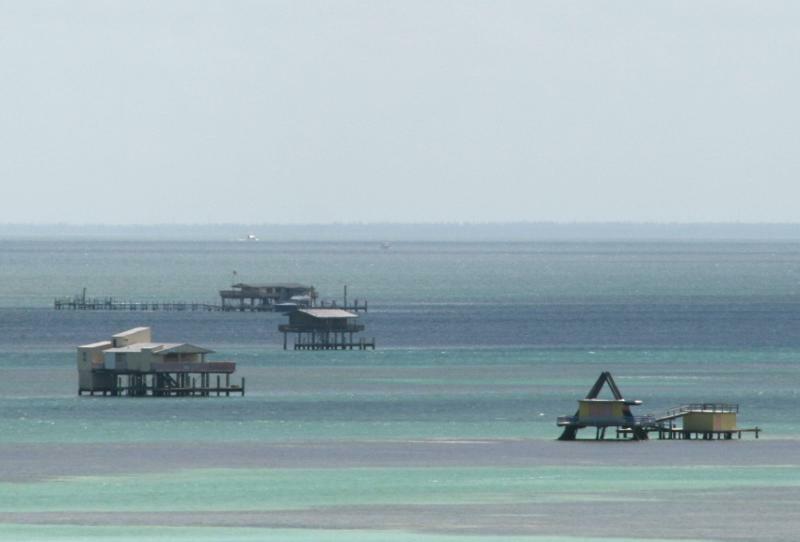 Among other attractions, the seven remaining houses of the storied Stiltsville settlement, which can only be reached by boat, are a part of the Park. 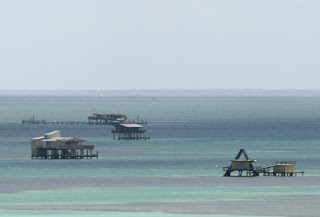 There is also a very popular off shore sandbar, a favorite stop for a picnic and a refreshing swim. While out on the bay you will likely encounter plenty of sea life, including Bottlenose Dolphins and Florida Manatees. Viewed by day or at night, Miami's skyline is ranked third most impressive in the U.S., behind New York City and Chicago, and 19th in the world according to the Almanac of Architecture and Design. Cruise along this magnificent shoreline, stop for cocktails and to dine and shop at any of several waterfront venues. 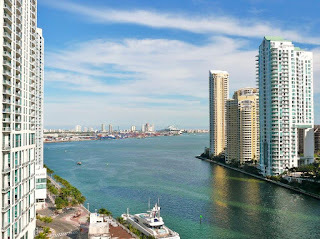 Pass the Port of Miami, ranked as the number one cruise/passenger port in the world for over two decades that accommodates the world's largest cruise ships. 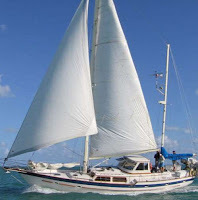 We will arrange a charter that perfectly suits your party. Swim or snorkel, visit the historic lighthouse, explore the Miami River, sail along Millionaire's Row, stay aboard or hop off to explore the shops, bars and restaurants. From beach barbeques on a sand spit to gourmet dining on deck, Paradise Connections will arrange an experience to exceed your expectations. 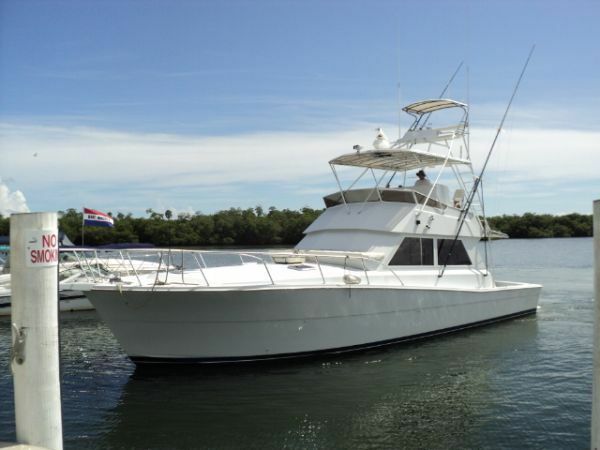 Viking 48 Sportfish, has an awesome flybridge and tower for truly amazing views. This comfortable power yacht is perfect for destination hopping with a cruising speed of 20 knots. 52-foot Irwin ketch and the largest private charter sailing yacht in Miami, is a classic sailing yacht with all the modern conveniences. 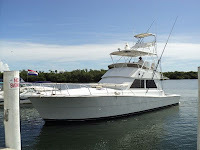 The yacht is a great party boat, fully air conditioned with an expanded stereo system inside and on deck, iPod connectivity, Sirius radio, plus kayaks and snorkeling gear. Piggybank is a yacht outfitted for fun. 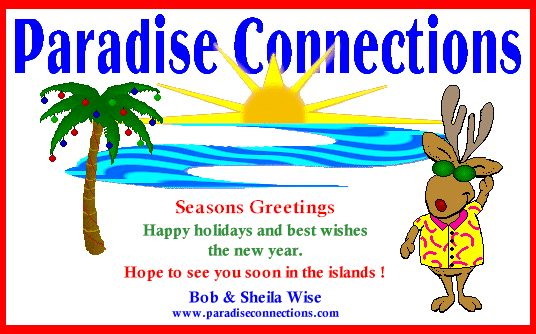 Swim, snorkel, or try your hand at the wheel. 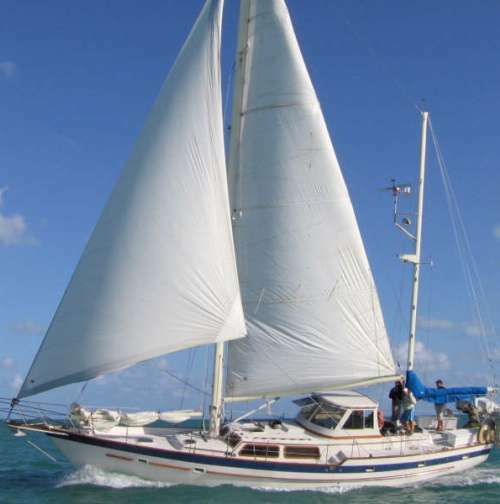 The seasoned skipper on Piggybank is a great raconteur and enjoys teaching sailing, making this a superb charter yacht for a delightfully interactive adventure. All information mentioned is presented in good faith and is believed to be accurate. However, there will be occasional errors and omissions and all information is provided on an "as is" basis. On September 3, the BVI Government made significant changes by amending the Marriage Act (Cap 272): Residency requirements for ‘Special Licence’ were shortened from three (3) days to one (1) day, a new fee schedule was introduced, and the steps to obtain a licence were all transferred to the Civil Registry for a ‘One Stop Shop’ process. 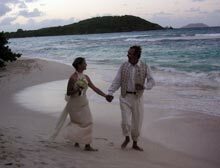 Couples even have the choice of beginning their wedding application online before arriving in the BVI, by submitting their information through the Government’s new Civil Registry Information System (CRIS) at www.crisvi.gov.vg. Additional fees are applicable based on the bride and groom’s wedding specifications: $220 for the Registrar-General or marriage officer to perform the ceremony, $120 for the ceremony to be held in the Civil Registry building and $25 for a certified copy of the marriage licence. To apply in person for a marriage licence or any service surrounding the subject of marriage, please visit the Civil Registry and Passport Office, which is located upstairs of Burhym Electrical Services in Wickham’s Cay, Road Town, Tortola. The office is opened Monday through Friday from 8:30 a.m. to 3:00 p.m. or telephone (284) 468-3442 for more information.